The Six-Day War of 1967 became a testing ground for the USSR and NATO's cutting edge weapon systems, Sputnik contributor Andrei Kots writes, unveiling one of the reasons for the defeat of the Arab coalition. Exactly 50 years ago, on June 10, 1967, the Six-Day War — the shortest armed conflict of the second half of the 20th century — ended, Sputnik contributor Andrei Kots writes, highlighting that the war put the most advanced Soviet and NATO weaponry to the test. The armed conflict between Israel and the coalition of Egypt, Jordan, Syria, Iraq, and Algeria had taken place between June 5 and June 10, 1967. In the very beginning of the war, the young Israeli state managed to destroy most of the Egyptian aviation and then swiftly occupied the Sinai Peninsula, the Gaza Strip, the West Bank of the Jordan River, East Jerusalem and the Golan Heights. However, according to Kots, it's not the strategy and tactics of the participants of the Six-Day War what deserves special attention but the weapons which they used during the confrontation. The crux of the matter is that new tanks and aircraft manufactured by the USSR of the countries of the NATO bloc made their debut on the fields and in the air during the conflict. Later these weapons were used and continue to be used in dozens of conflicts around the world. "In fact, during the Six-Day War, the Soviet and Western defense industries tried to figure out whose design bureaus are better, more modern and effective. Half a century ago, like today, they failed to answer this question unequivocally," Kots pointed out. The journalist recalled that the Six-Day War's tank battles had gone down in history as the largest since the end of the Second World War. "More than 2.5 thousand light, medium and heavy tanks were engaged in combat by both sides [of the conflict]. While many of these [fighting vehicles] were considered obsolete back in 1967, there were also many modern machines," Kots noted. In the early 1960s, the USSR provided Egypt and Syria with several hundred of most advanced T-55 main battle tanks of that time. "The T-55 had become the world's first tank equipped with an automatic anti-nuclear protection system [Protivoatomnaya Zashchita] and the first Soviet armored vehicles with the Drozd active protection system. 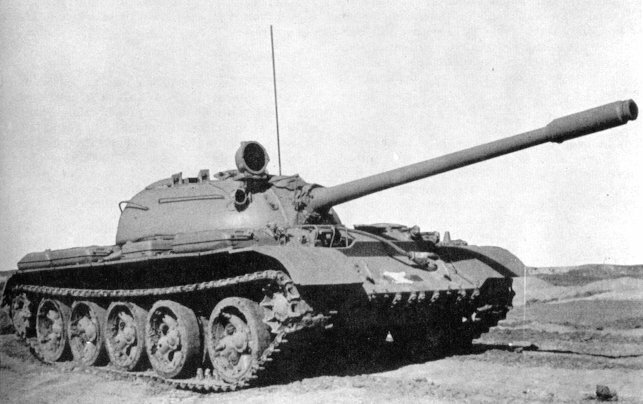 Its D-10T2S tank gun could effectively strike most of the Western armored vehicles, while the T-55's squat shape allowed it to effectively hide in the irregular terrain," the journalist observed, adding that the T-55 became one of the most-produced tanks in military history. At that time, the М-51 Super Sherman, a modified version of the American M4 Sherman tank, was regarded as Israel Defense Forces' (IDF) main trump card. The armored vehicle boasted a powerful 105-millimeter cannon, a reliable Cummins VT8-460 diesel engine, an automatic transmission and 23-inch wide tracks. CC BY 2.5 / Bukvoed. "In a specific Middle Eastern climate, the Super Sherman proved to be reliable and unpretentious," Kots remarked. According to the journalist, the most severe losses the Israelis had suffered on the Syrian front: "In the battles with Soviet tanks for the Golan Heights, the IDF lost 160 Super Shermans and the British-made Centurions. Syria lost 73 vehicles, including 10 T-54 and T-55." However, the lack of training turned out to be the Arab coalition's major vulnerability. "In general, the Six-Day War's experience had once again shown that even the most modern tanks with poorly trained crews lose in duels with older vehicles operated by experienced military personnel," Kots highlighted. "In addition, the armored vehicles of the Arab coalition were constantly attacked by Israeli strike fighters and bombers. It became clear that in the coming armed conflicts, the victory would be won by the one who could gain and maintain superiority in the air," he added. Besides the Soviet-made T-55 tank, the Arab coalition used the third-generation MiG-21 jet fighters — one of the best warplanes in the world at that time. 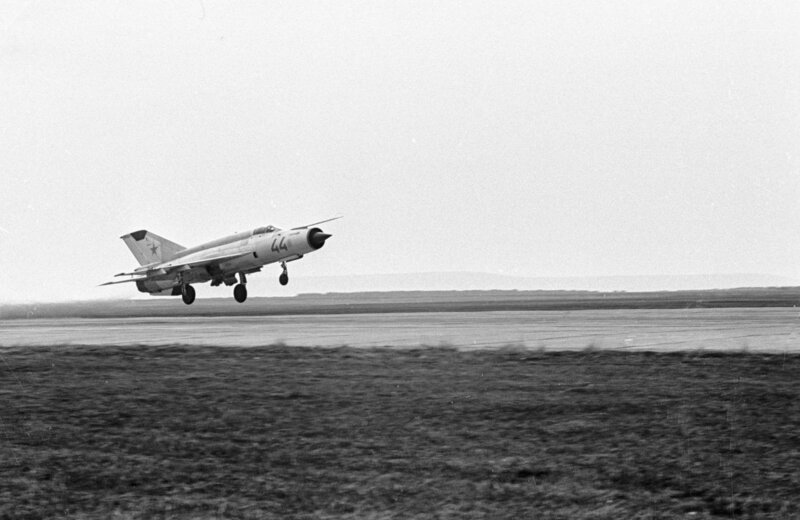 The major rival of the MiG-21 in the Mideast airspace was the French-made Dassault Mirage III. However, although both aircraft demonstrated an excellent maneuverability and outstanding speed characteristics, the MiG-21 proved to be more efficient in combat due to its R-13M short-range infrared homing air-to-air missiles. "In the course of the Six-Day War, Egypt, Syria, and Iraq lost 19 MiG-21 fighters in air battles. One of them was mistakenly shot down by the Egyptian S-75 surface-to-air missile system immediately after the aircraft took over the Israeli warplane. For its part, Israel lost about eight or ten Mirages in the fight with the Soviet-made jets. Given the absolute superiority of Israel in the number of warplanes, the Arab pilots had indeed given a solid performance," the journalist emphasized. Again, the air battles of the Six-Day War demonstrated the same pattern as the combat activities on the ground: the lack of training thwarted the technologicak superiority. "Despite the technological superiority the pilots of the Arab coalition were less skilled than their opponents and couldn't effectively interact with their own air defense forces," Kots assumed. "As the famous Israeli flying ace Eitan Carmi admitted in one of his post-war interviews if the MiGs were operated by Soviet pilots the war could have ended differently," the journalist concluded. 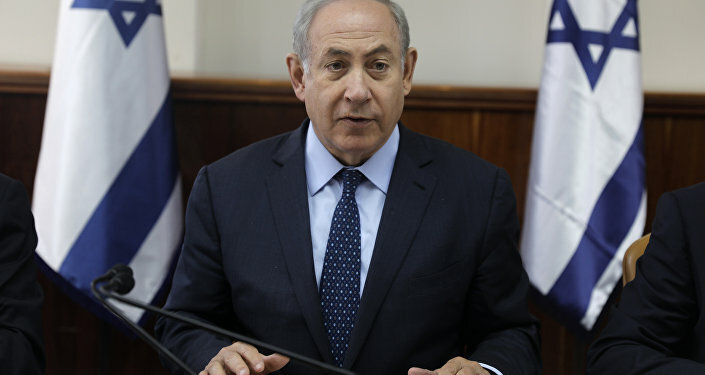 Syrian Crisis: A Step Towards Peace With Israel?